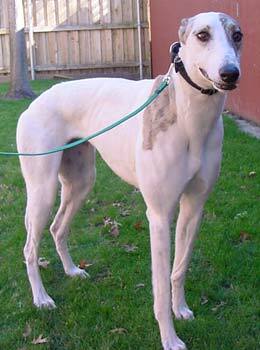 Nettie, aka Dish Network, is a beautiful female white-and-brindle grey who is 1½-years-old, born July 2001. 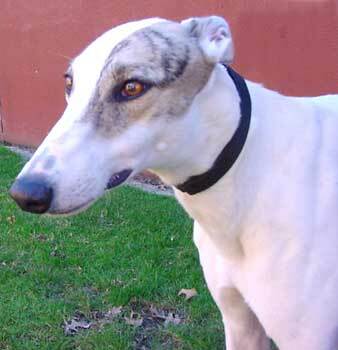 Nettie is very affectionate and sweet, and just didn't want to run! She appears to be cat tolerant and gets along well with other dogs, including smaller ones.